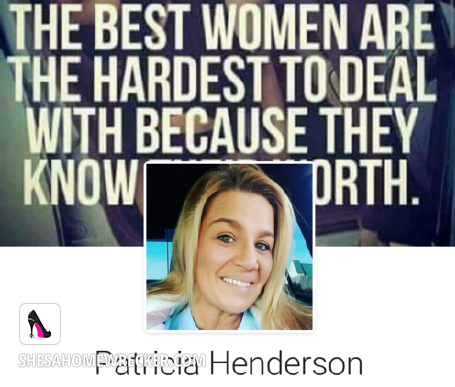 Ladies and gentlemen, slores and pervs, for your viewing pleasure we present Patricia Henderson Don’t let this saucy little tart’s innocent and homely looks fool you. Underneath that bland and unattractive exterior lies the heart of a true HOMEWRECKER, a tramp with no morals or conscience…..she likes to mess with men that are engaged and getting ready to be married… her ex just passed away a few months ago and now she’s out trying to bounce on everything she can get ahold of knowing men are in relationship’s… now I see why the boyfriend of 15 years always cheated on her. You might think she’s cute and innocent but she’s really trashy and simply just a HOMEWRECKER.